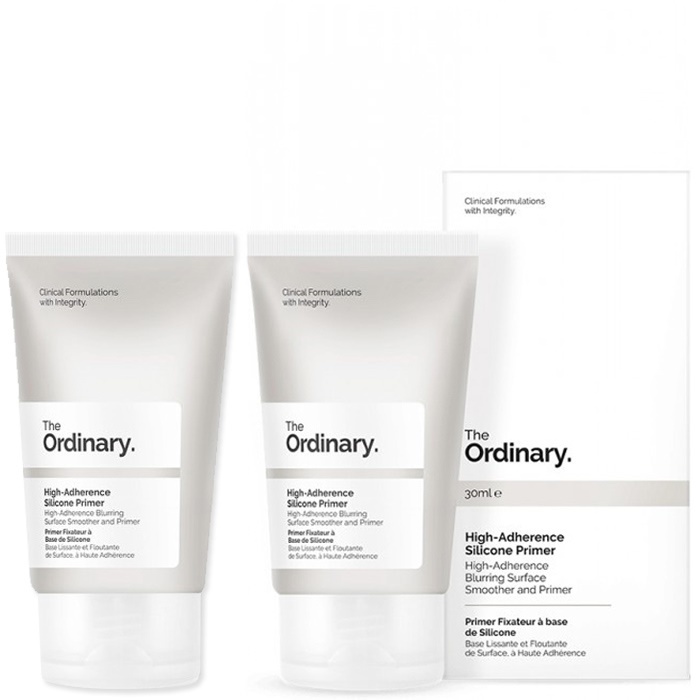 The Ordinary DOUBLE VALUE PACK 2 X High-Adherence Silicone Primer - 30ml Bottles. This formula uses advanced adaptive silicones to act as a matte, hydrating, blurring primer for makeup that looks higher in definition and adheres for longer. The formula can also be used alone as a non-greasy hydrator that reduces the looks of pores and of imperfections. Directions Use as the last step in skincare regimen either on its own or as a makeup primer. I've used a few primers but this one provides a really amazing base for a flawless foundation. Brilliant product, love the brand.